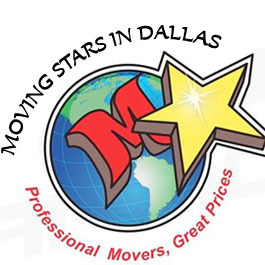 Moving Stars in Dallas specializes in local moves within the Dallas area. Whether you are moving a large home, apartment, condo, of office, we will get the job done quickly and efficiently so you can be in your new home in no time. Even if you are just moving down the street, there are a lot of things which must be done to move, like updating your address and switching utilities. The last thing you need to worry about is the logistics of getting all of your belongings to your new home. Let the professionals at Moving Stars in Dallas worry about the logistics of the move so you can focus on the other aspects. We know that investments in technology pay off. That is why our staff comes on site with the latest tools and equipment. Lifts take the strain out of loading heavy furniture, shrink wrap keeps items in place in the truck, and bed bags keep your property clean. We have also invested in training for our staff so they are capable of handling any task, be it wrapping an antique armoire or disassembling a cubicle. These investments have paid off for us in the thousands of satisfied customers we have. For you as the customer, these investments mean we get moves done faster, cheaper, and without damages. Moving Stars in Dallas has a very long track record of satisfied customers. With our fair rates, excellent customer service, and flexible moving services, we are able to exceed customers’ expectations. This is why we have so many positive reviews and get most new customers from referrals. We here at Moving Stars in Dallas know that our rates are fair, so we encourage you to get moving quotes from several local moving companies. Make sure that you understand exactly what is included in the moving quote and the extent of the services provided. For example, our team of local movers will go the extra mile of unloading your boxes in the right room instead of dumping them in the first room of your new house. This can save you hours or even days of unpacking! It is best to get the moving process started as soon as possible. Weekends, summer, and the end of calendar months are the busiest times for moving, so please try to book your moving date well in advance. If you are moving into an apartment, we may ask you to reserve the elevator lift for us and to inform your neighbors of the move as a courtesy. Come discover the Moving Stars in Dallas difference! Contact us today for a free moving quote.